As former newspaper reporters, we know how important it is to have solid information about your local community. When we started the website in 2008, we wanted it to be a gathering place for NWA women and moms. And we also wanted to make sure it was packed with LOTS of useful local information to help you navigate life and kids in this region. That includes knowing about the best local events and family outings, great camps and connecting to local companies that know how to treat a mama right. Here are some of our best local links to help you have the most fun in Northwest Arkansas. Giveaways: We’ve become known for some of the best giveaways in Northwest Arkansas. Check them out here. Calendar of events: Updated monthly, this is your go-to resource for finding family events in Northwest Arkansas. Kids Eat Free List: It’s a reader favorite! 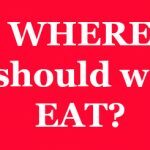 Get the “Where Kids Eat Free List” in Northwest Arkansas. Fun Family Outings: Ready to get out of the house and do something fun? Try these budget-friendly outings. Seasonal Guides: Easter egg hunts, Halloween events, Christmas activities, swimming areas and SO much more. Summer Camps: So many options! We rounded up all the camp info so you won’t have to. Local business profiles: We love local companies who value moms and great customer service. Meet some of our favorites here. Great nearby getaways: Need a change of scenery? These getaways are a short drive away from NWA. 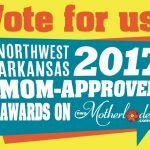 The Mom-Approved Awards: Our annual award program is voted on by local mothers to honor businesses with great mom-friendly service. 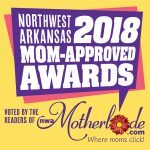 The Mom-Approved NWA Business Directory: Whether you’re looking for a birthday party place, swim lessons recommendation or a place to board your pet, our directory is based on the mamas’ personal recommendations as well as a list gathered from local moms who read Motherlode. Click HERE to go back to the nwaMotherlode homepage. 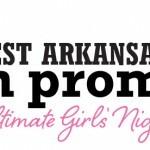 NWA Mom Prom Tickets On Sale NOW! Check out the Summer Camp Guide!